Pod2G: Apple Turns to Samsung Display to Help Ease iPad Mini Shortages? Apple Turns to Samsung Display to Help Ease iPad Mini Shortages? Apple is turning to Samsung Display to help ease supply issues with the upcoming Retina Display iPad mini, according to a Nikkei report relayed by CNET. LG Display and Sharp are both suppliers for the new display panel; however, Sharp is said to be suffering with low yields and even LG is "not close to full production." Apple CEO Tim Cook said "it's unclear whether we'll have enough for the quarter or not" during the company's quarterly earnings call. 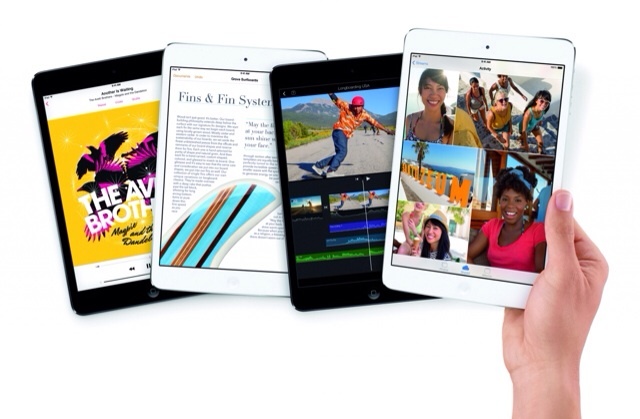 It's currently rumored that the new iPad mini will go on sale November 21st.